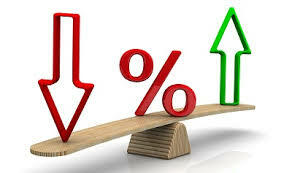 Both Sellers and Buyers are benefiting from the continued low interest rates. Low interest rates make home buying more affordable and keeps mortgage payments down. That is good motivation for buyers to put an offer in on that special property before rates go back up. This is a win/win scenario for both the buyer and seller. The current federal funds rate rose to 2.5 percent when the Federal Open Market Committee met on December 19, 2018. Despite this, mortgage rates slid down to 4.625% (4.797% APR) for a 30 year fixed loan. That’s down from a nearly nine-year high of 4.94% in November. Even a single percentage point rise in mortgage rates can add more than $100 a month to a home. And unfortunately for buyers, that little rise can turn into extra tens of thousands of dollars over the life of a 30-year, fixed-rate loan.